Last updated 17:00GMT, Saturday 7 February. TODAY: Dover-Calais almost completely recovered from high winds this morning. Busy day to and from ski resorts (now finished). Very icy earlier northern Netherlands + A1 to Hamburg. Earlier avalanche warning southern French Alps – road between Isola and Isola 2000 ski resort closed (now re-opened). Security conference lockdown in and around Munich (#MSC2015). Recovering snow/ice central Italy, Parma-Bologna-Florence, still sleet A6 Turin-Genoa. High winds cancel ferries Greece tomorrow, recovering from snow storm Croatia + roundup snow Bulgaria. High winds and snow Scandinavia – Storm Ole heading east from Norway via Sweden, expected to ‘weaken’ by the time it hits Finland west coast tonight. Major blizzard expected Moscow tomorrow. Northern Spain: recovering after heavy snowfall. A67 Santander-Palencia still closed (though signs of movement) otherwise major routes clear but chains mandatory in the mountains. See DGT website for latest, black mark is closed, red is chains needed. CHANNEL DELAYS: P&O Dover-Calais delay 30mins. Brittany Ferries Plymouth-Roscoff/St Malo disrupted/cancelled until tomorrow. Condor Ferries rescheduled Clipper, weather. WEATHER ALERT: red alert high winds Norway, Poland amber alert high winds France, Sweden, Finland, Latvia, Estonia, Poland, Croatia, snow Poland, rain Italy. WEATHER: dry West. Snow and gales Scandinavia. MAJOR TRAFFIC DELAYS: A15 eastbound into Paris, accident Cormeilles delay down to 60mins. 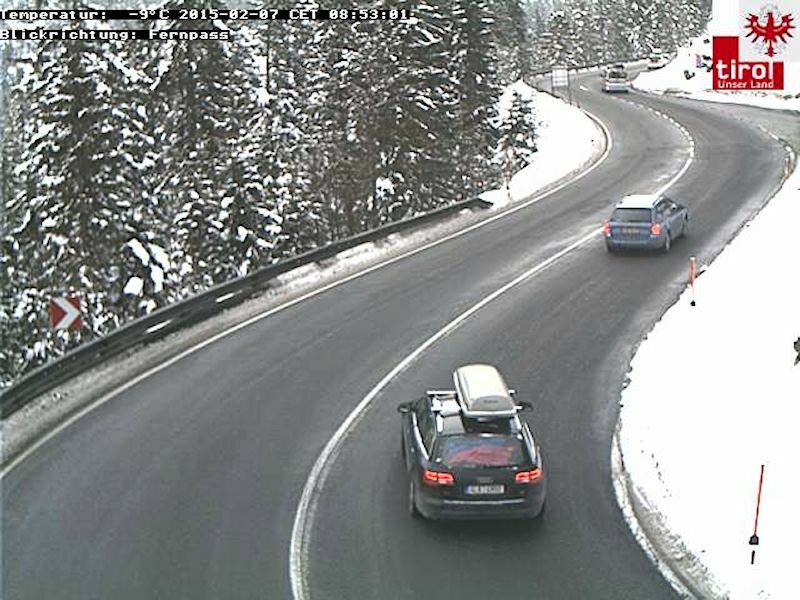 B23 eastbound into Garmisch, earlier level crossing fault, delay 1h15. Earlier: now no delay A21 eastbound Lens-Douai, S16 eastbound to Innsbruck, A3 northbound Cologne.